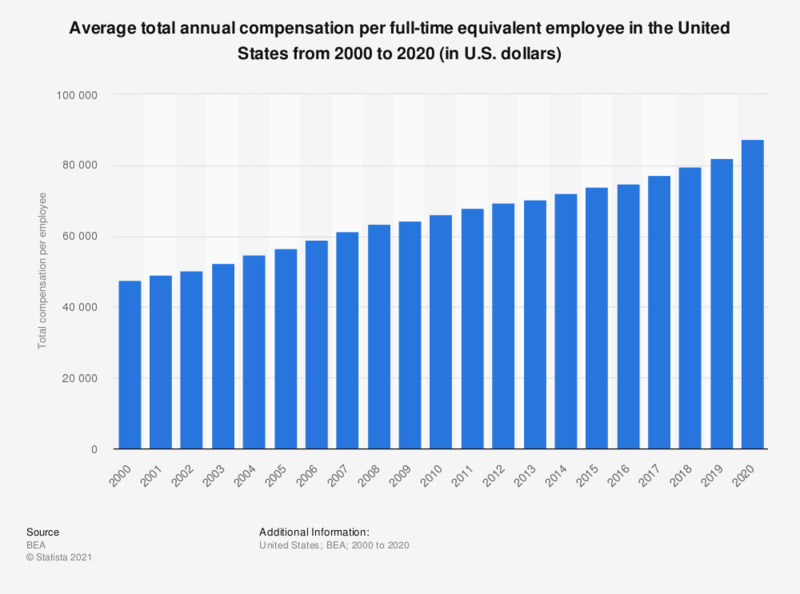 This statistic shows the total annual compensation per full-time equivalent employee in the United States from 2000 to 2017. In addition to wages and salaries, total compensation includes employer contributions for social insurance, employer contributions to private and welfare funds, director's fees, jury and witness fees, etc. In 2017, the average compensation per employee in the United States was at 77,243 U.S. dollars. * Total compensation includes in addition to wages and salaries, employer contributions for social insurance, employer contributions to private and welfare funds, director's fees, jury and witness fees, etc.